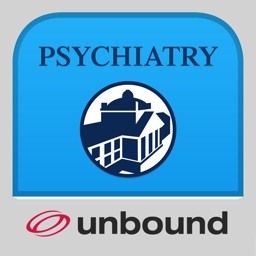 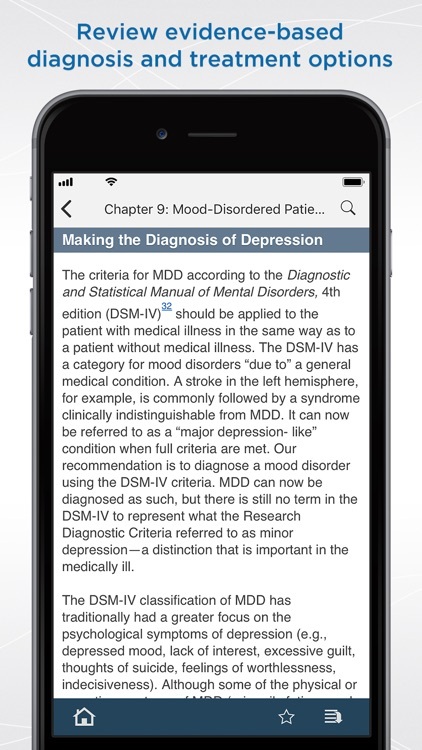 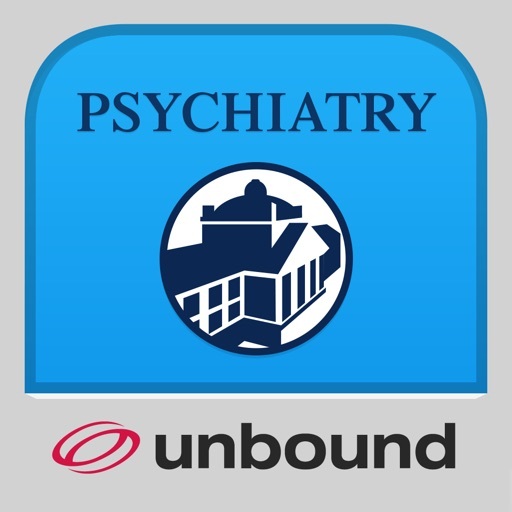 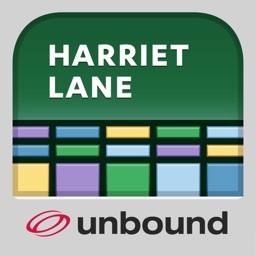 Hospital Psychiatry Handbook by Unbound Medicine, Inc. 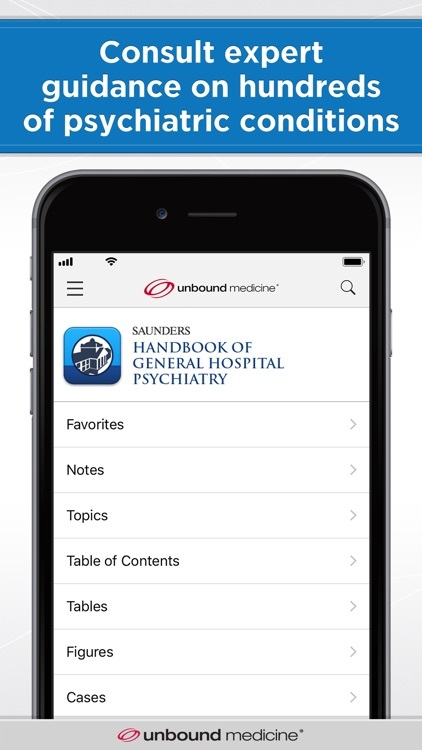 This Handbook of General Hospital Psychiatry provides fast, to-the-point guidance on the diagnosis and treatment of psychiatric issues experienced by in-hospital, medically ill adults and children. 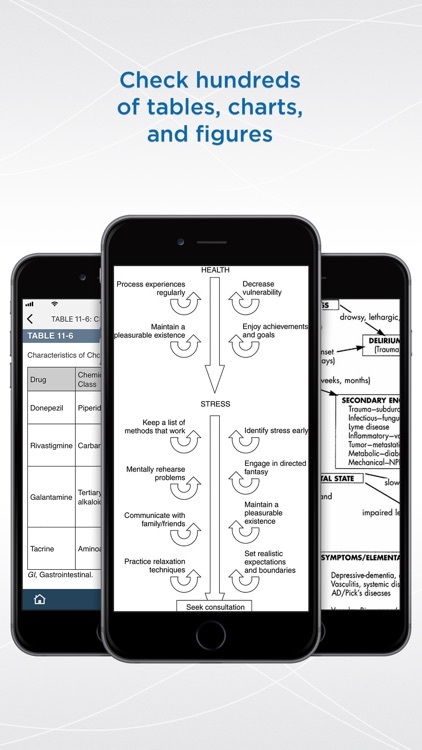 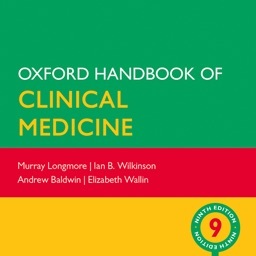 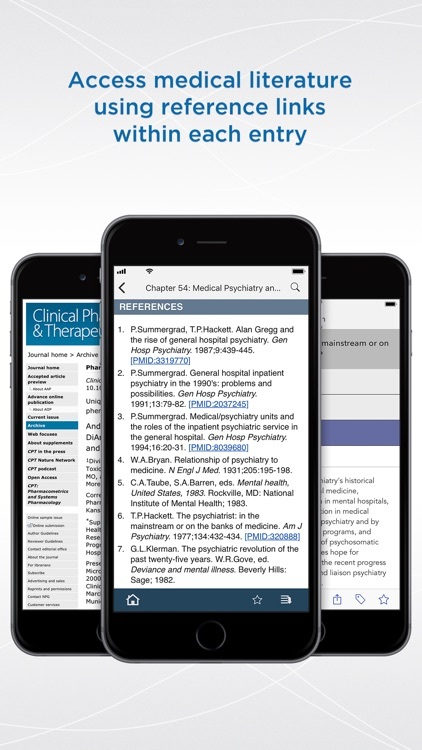 This resource includes many references with links directly to the literature, helpful clinical case studies and the latest in pharmaceutical therapies. 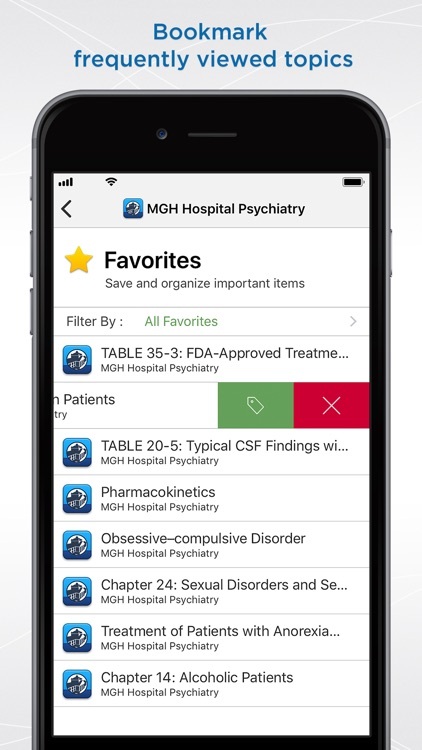 The Handbook of General Hospital Psychiatry is authored by experts at the Massachusetts General Hospital, widely known as one of the world's premier psychiatric institutions.